completely free to use, but it does bring commercials which is understandable. 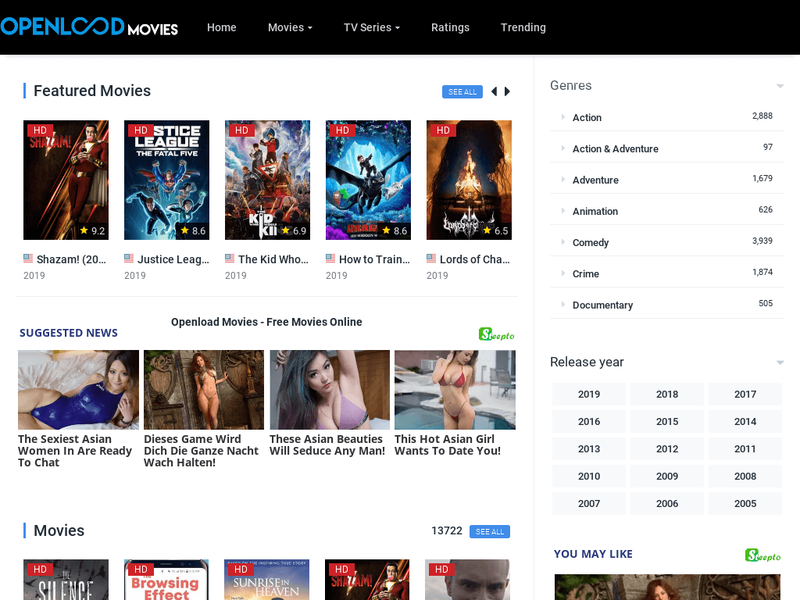 As a website that allows users to upload files such as videos, music and documents, openload also lets users watch their favourite movies without downloading. The latter “however’ may seem to be one of its cons, but there’s a ‘walkaround’ to it. When you access openload for the first time, you do be overwhelmed at the number of contents it offers. From the latest featured movies to top trending TV series all from a variety of genres including action, adventure, crime, comedy, drama and family. Selecting one from among the numerous films it has, will lead you to a new window where you’d need to click the embedded video play icon to get it playing. This is where things goes sour. On openload, users are only allowed to stream movies online. There is no download button for offline viewing not to mention the annoying pop-ups that often leads to nsfw sites. So today, we’re going to walk you through on how to download openload movies for free. First in first, we are not going to bore you with the steps to download openload movies directly. You are already aware that when you access an openload url that links to a movie, you’ll get to see the view and download button. But what if you access the official openload movies website? There, you won’t be able to see a download button, so it certainly isn’t easy peasy. This now brings us to savefrom; the most popular video downloader on the internet that facilitates users to download movies from sites like YouTube, Dailymotion and openload in the highest possible quality. Let’s quickly see how to use it to download openload movies. Now head over to savefrom.net and paste the video url into the provided box. Click “go” once done and the respective video will be available for download. Simply go ahead and select your preferred format from the drop-down menu; you do get to see “options” like MP4, 3GP, MP3, WEBM and others. Choose one from among them and then download your video. Considering the number of pop-ups openload throws at users, you do agree with me that it is more safer to download the video for offline viewing. The above steps illustrates everything vividly and more understandably. So go ahead and download wisely.